…profesora na Klinice Rehabilitačního Lékařství na Weill Cornell Medical College a pomocného profesora na Klinice Rehabilitačního Lékařství na Columbia University, který je pravidelným lektorem Salzburského lékařského semináře Rehabilitation Medicine, na jeho profesní začátky, cíle i dosavadní pracovní zkušenosti. 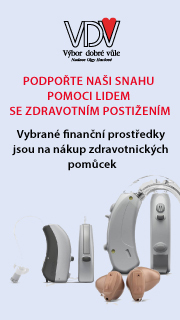 Po úspěšném semináři na Klinice rehabilitačního lékařství 1.LF UK dne 8. dubna 2013 se nám svěřil, že kdyby nebyl skvělým lékařem, byl by hudebníkem…. What were your steps towards Rehabilitation Medicine? Ironically, I intially explored rehabilitation medicine as a senior in medical school becuase I didnt seem to like any of my other clinical rotations! As it turns out – it is the ideal specialty for my personality. What I like about it the most are the opportunities to develop longterm relationships with my patients and the chance to work in a team setting with our therapists and nursing colleagues. What are your upcoming goals in rehabilitation practice and research? We have recently completed the national multicenter FASTEST clinical trial looking at functional electrical stimulation versus an ankle foot orthosis for the management of drop foot after stroke. The study leadership has published 2 papers and is about to submit a third. This is an enormous database and I think there are several more really interesting question to be answered from it – especially related to the behavior of some of the functional assessment instruments over time. Measuring change is a grossly neglected aspect of scale psychmetrics and the FASTEST dataset may hold several insights in this area. At Weill Cornell Medical Center, we are also continue to work closely with Joan Toglia, Ph.D. in refining our stroke rehabilitation database. We are including the AM-PAC at dischange and 6 and 12 post discharge giving us the opportunity to become more familiar with the next generation of functional assessment instruments. Which professional experience had an important impact on your further motivation and the line of your work? In retrospect, my time at University of Pennsylavania Medical Center completing my training in physical medicine and rehabilitation was extremely important on two fronts. First was changing the focus of my interest from musculoskeletal and sport medicine to neurological rehabilitation. During my training I came to the realization that the population of patients with neurological disease and injury are tremendously underserved. These patients tend to have very complicated and long-term problems and need physicians with a background in the managing the musculoskeletal, physical, neurologic, psychological and behavioral sequelae of their condition. PMR is the perfect training to handel those issues. The second important decision while in Philadelphia was to complete a fellowship in brain injury and trauma rehabilitation. It was during that year where I truely began to understand the importance and impact of the rehabilitation team working closely with neurosurgery, trauma surgery, orthopedics and neurology to maximize functional outcomes after major trauma. It also set the stage for my career in acadmic medicine – patient care, teaching and research. What do you consider as the most important for an everyday lifestyle to prevent common rehabilitation problems? Regular exercise and weight control is extremely important in the prevention of hip and knee joint degeneration. The single most health positive thing that any human being can do is to stop smoking! Can you detect any significant changes in patient statistics, in types of difficulties and medical approach from beginning of your career till present time? In inpatient rehabilitation, there have been tremendous changes. We are caring for patient with significantly more medical problems than we did 25 years ago. Moreover, the time in hospital is a fraction of what is was – months in the late 80s and weeks (at most) now. Rehabilitation Medicine as a whole has seen a complete shift from inpatient neurological to outpatient musculskeltal disorders as its primary focus. The addition of pain management is an important aspect of the field now. I am convinced that the functional and musculoskeletal training provide in rehabilitation medicine makes an absolutely ideal background to treat joint, back and neck pain. From a holistic perspective some deseases have to be treated in the context of many factors and as such one of the most important mentioned is the mental condition of the patient. In your opinion is this perspective aplicable in rehabilitation medicine? Could „the strong will“ take important part in the treatment of your patients? I have seen this principle in action hundreds of times during my career – two patient with identicle impairments, one motivated and engaged and the other not. The former will always have a better outcome. One of the unique aspects of rehabilitation – compared to most other medical and surgical specialties – is the essential component of participation. Rehab is something we do with patients, not to patients. If depression or anxiety are preventing someone from engaging with the therapists it needs to be treated; if pain is a limitation in doing the exercises it need to be treated, if medical issues are preventing a patient from full participation those issues need to be managed. You have been a lecturer of the Salzburg Medical seminar „Rehabilitation Medicine“ for several years. Seminar´s fellows appreciate the most the possibility to expand their experience and to share knowledge. What this experience brings to you? I guarantee you that every faculty who travels to Salzburg received more from the experience that they give – its just a tremendous week. Its always enlightening to see how rehabilitation medicine is practiced in other countries. Different techniques, different health care delivery systems, different systems of training all have great influence of the final care provided. There are any number of lessons that the American faculty take away from the experience. What would be your profession in your parallel life? Without a doubt, a musician. No wonder I love Salzburg so much!